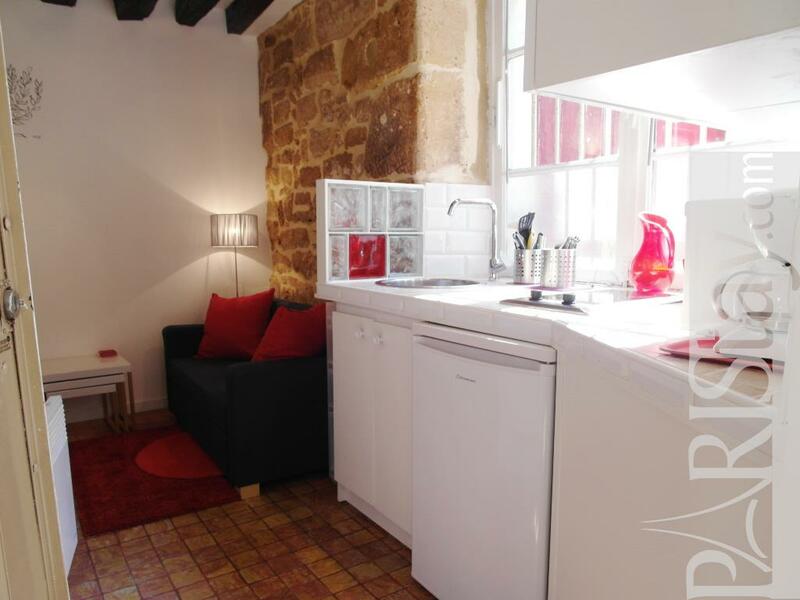 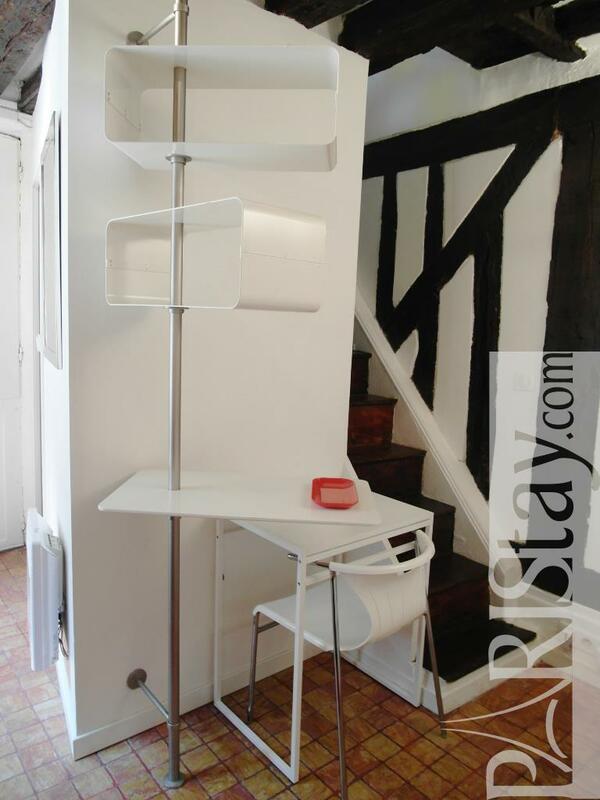 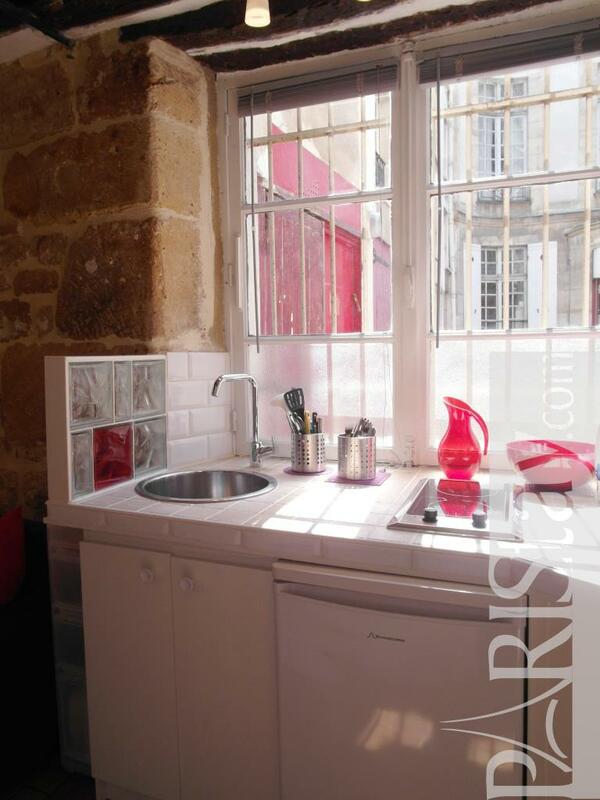 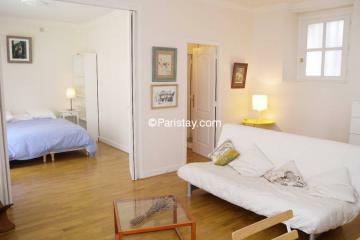 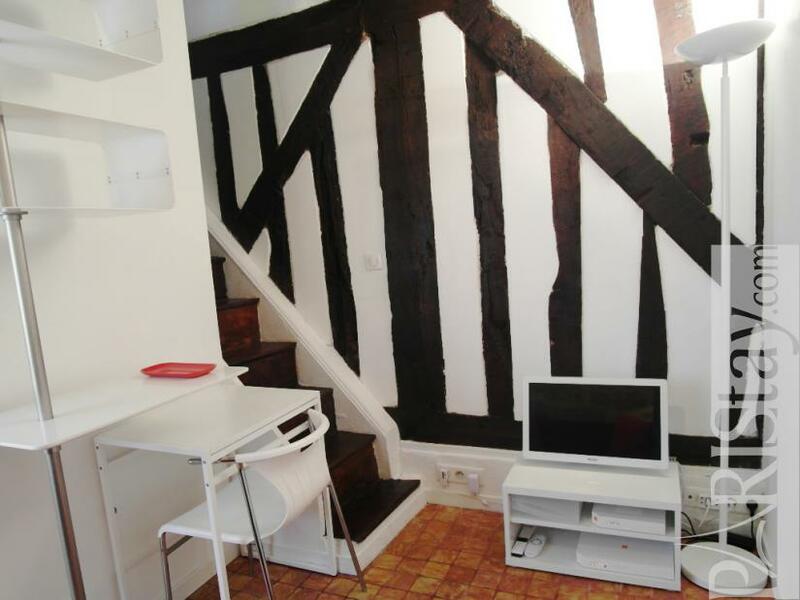 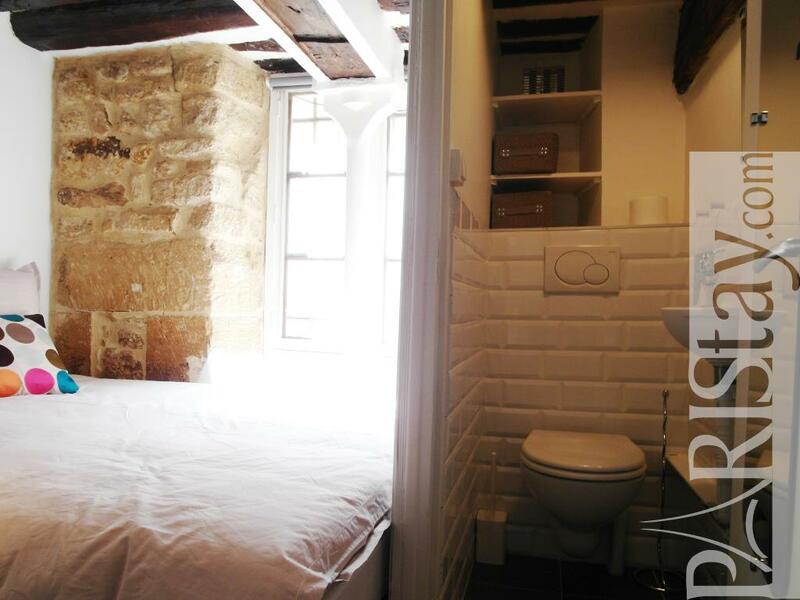 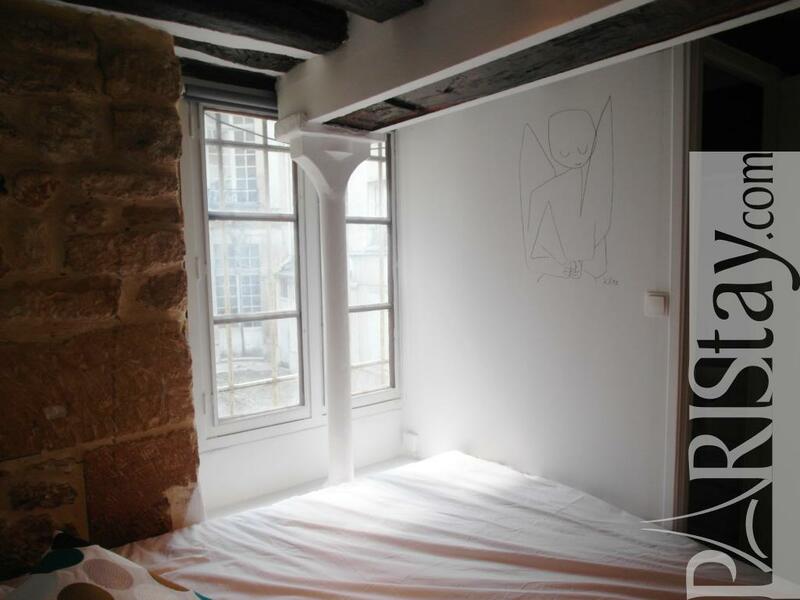 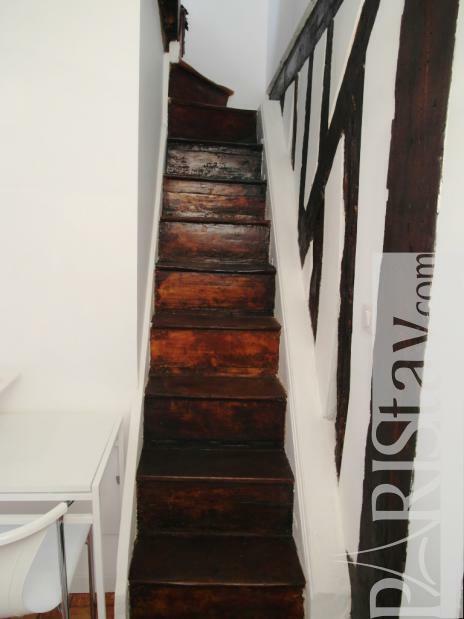 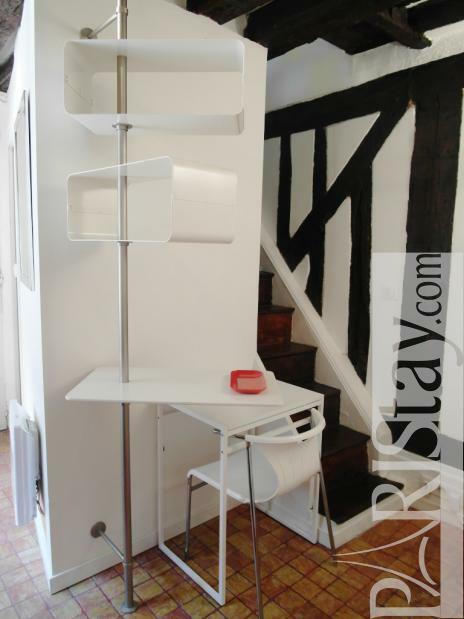 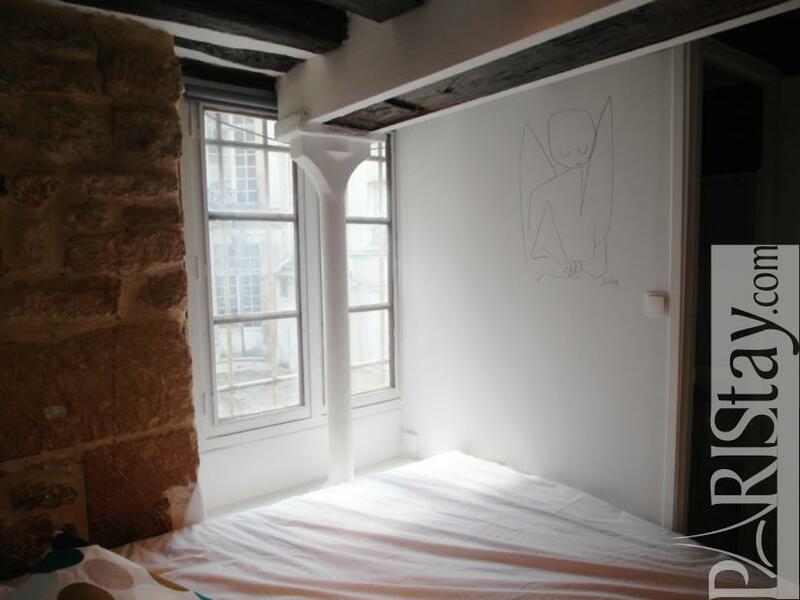 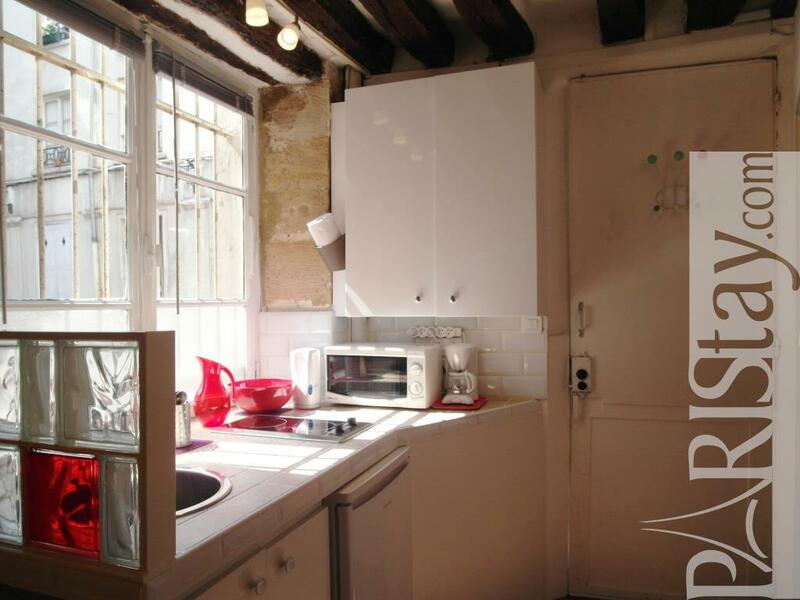 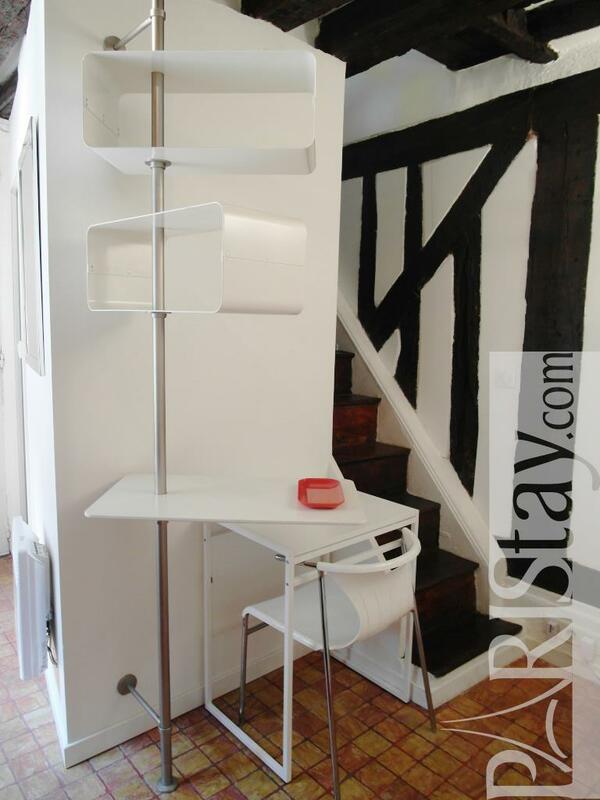 This charming one bedroom apartment is located in the wonderful hôtel particulier "Hotel de Polignac " in the heart of the historical, lively and trendy Marais area. 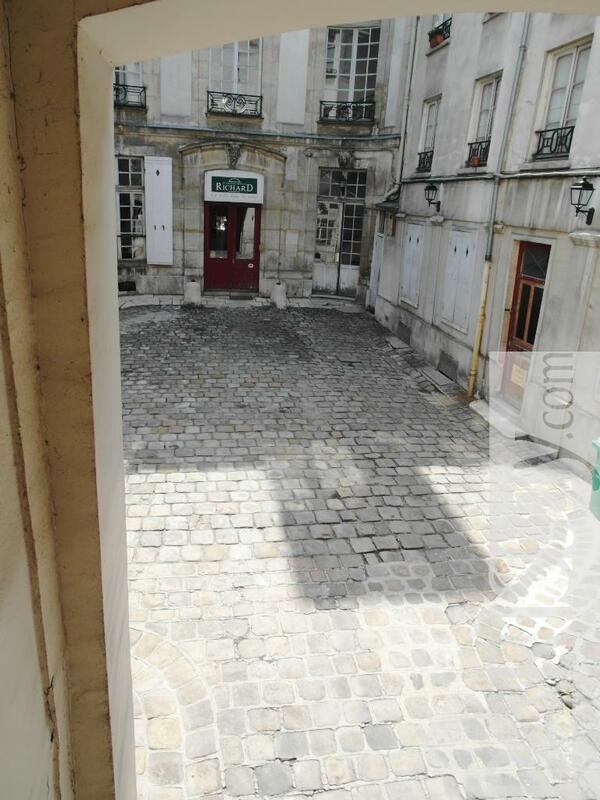 The apartment is on courtyard, very quiet and sunny. 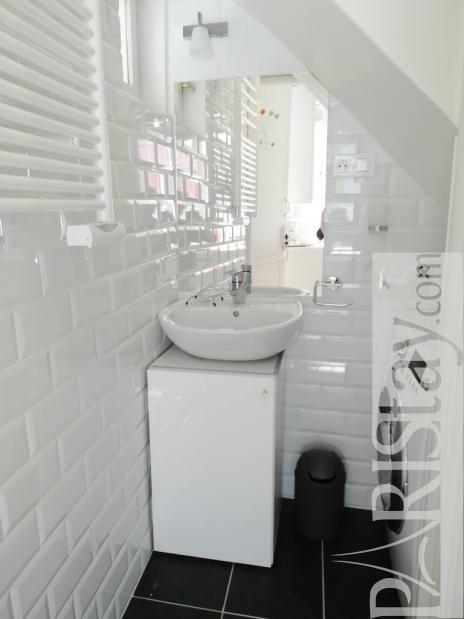 Newly renovated in June 2013. 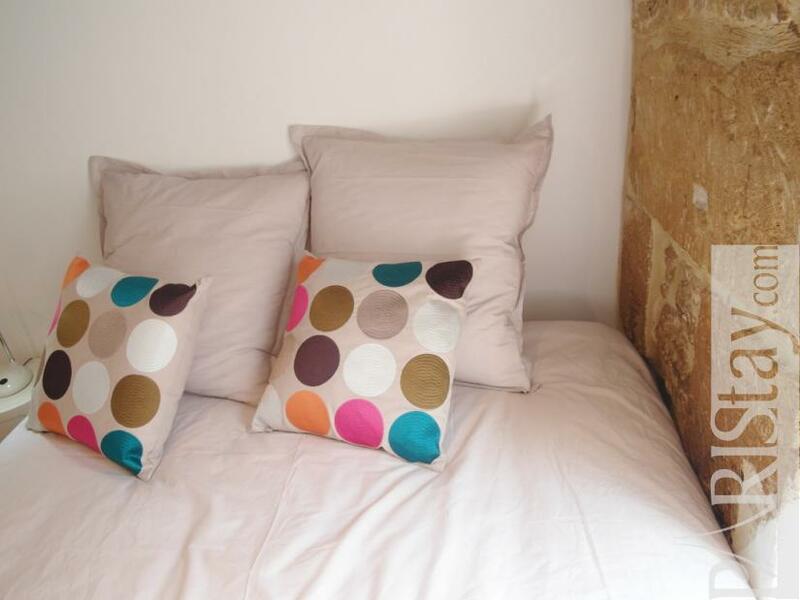 Everything you need for your home away from home is there for long term rentals. 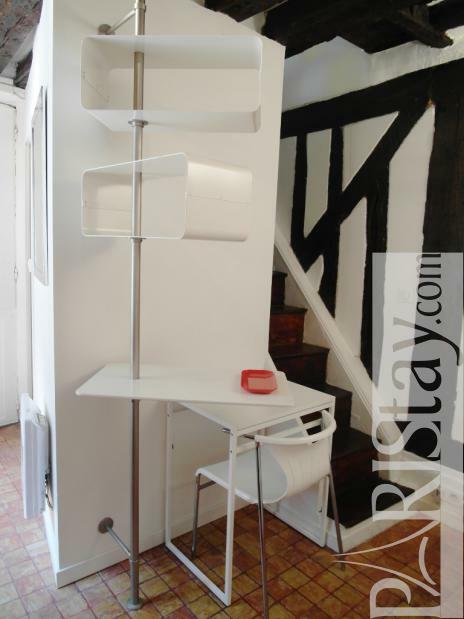 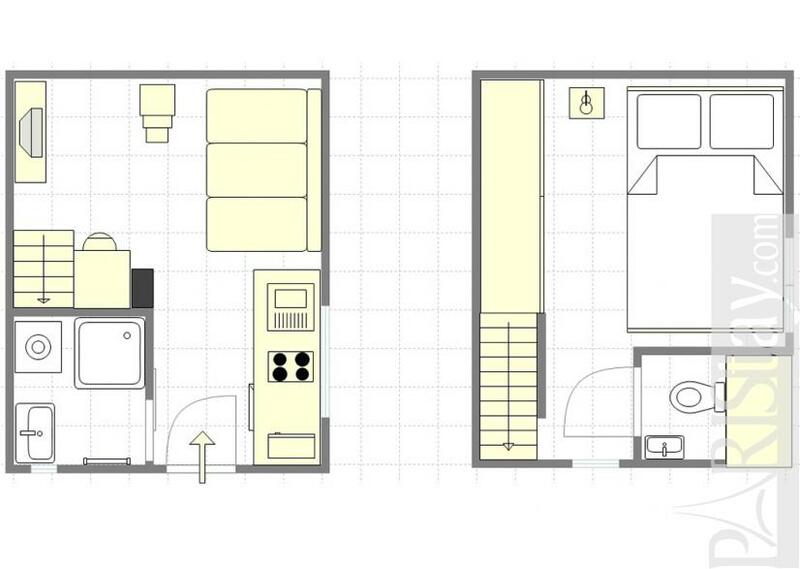 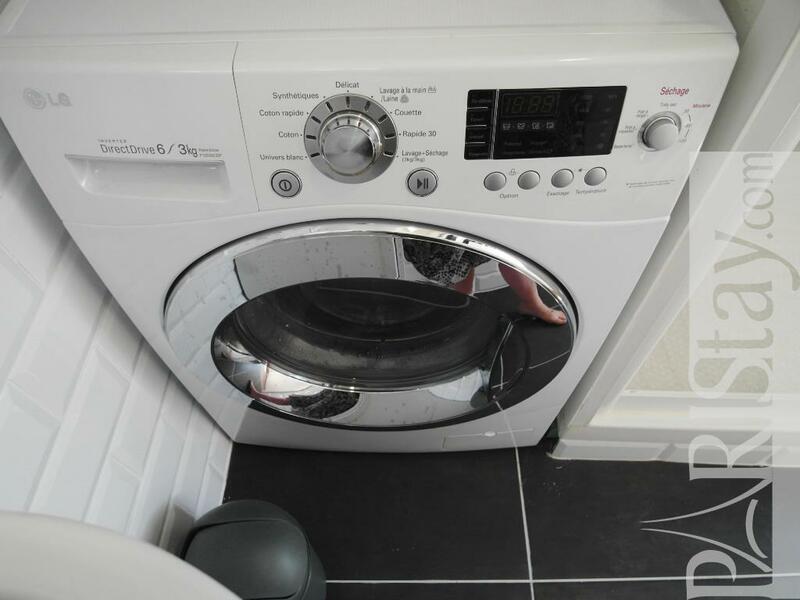 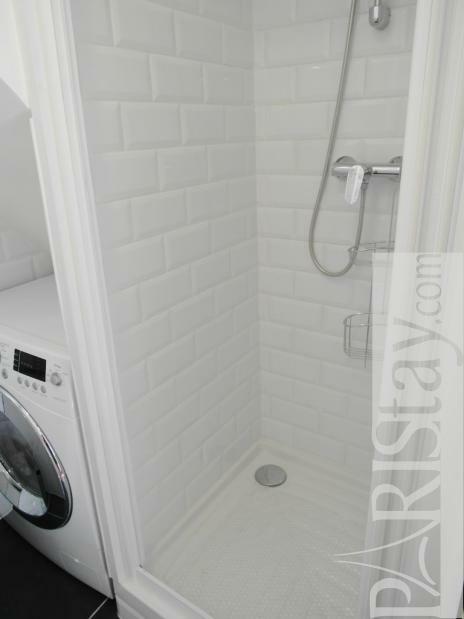 Small but adorable two-story flat, fully equipped, even with a washing machine and a dryer. A real bedroom and separate toilet. 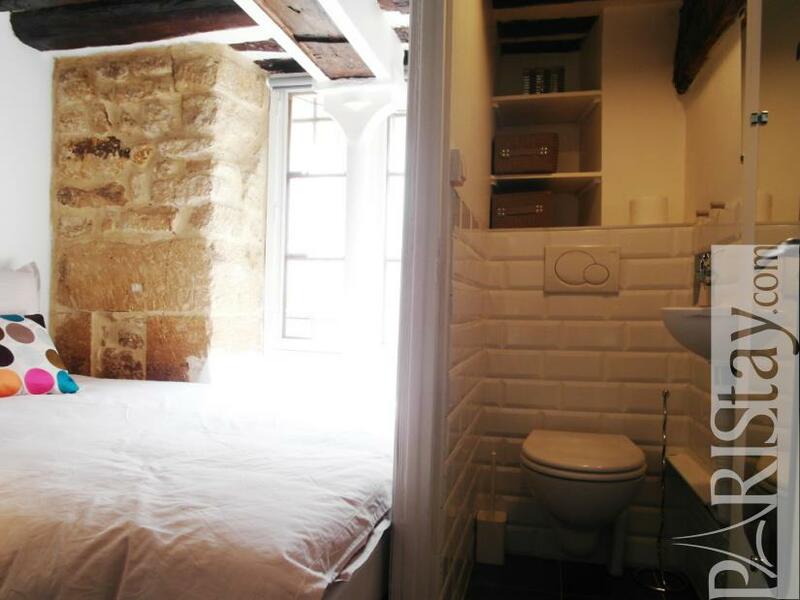 The location is truly amazing. 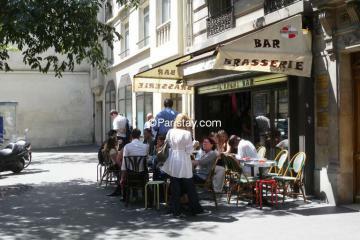 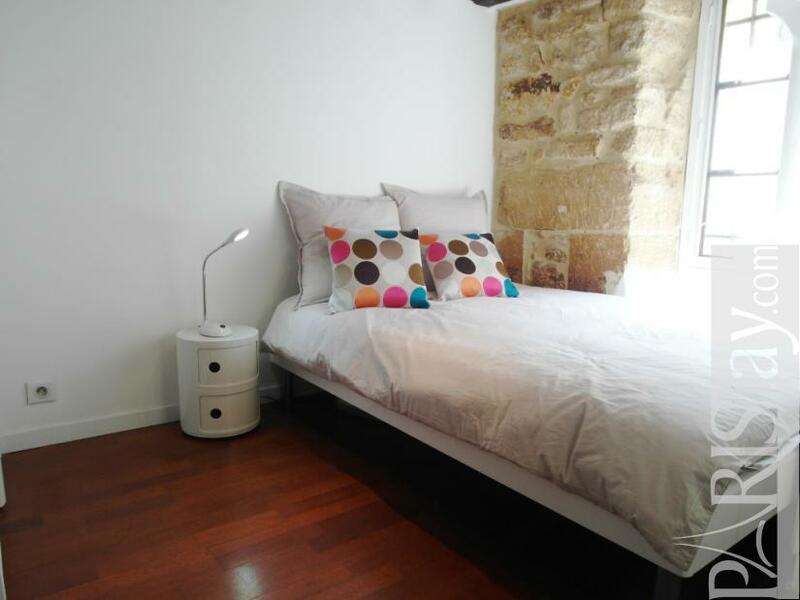 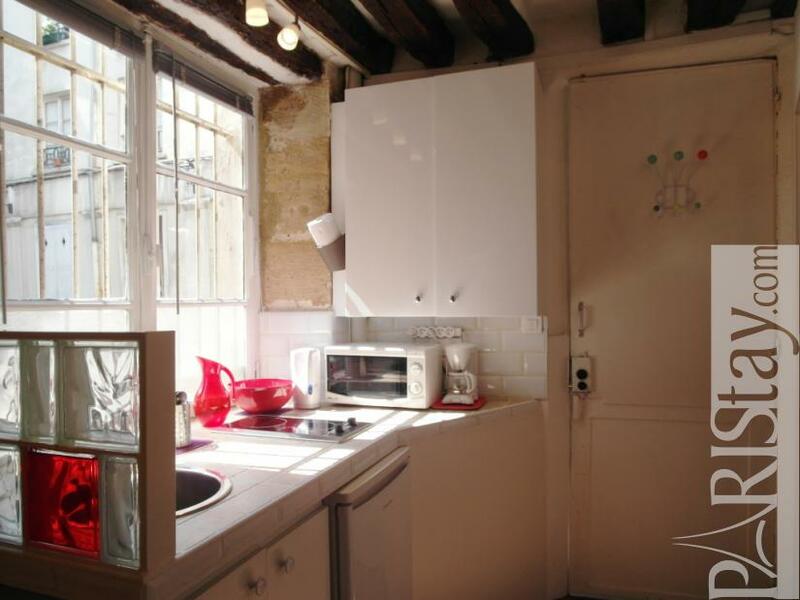 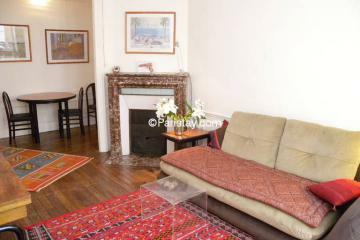 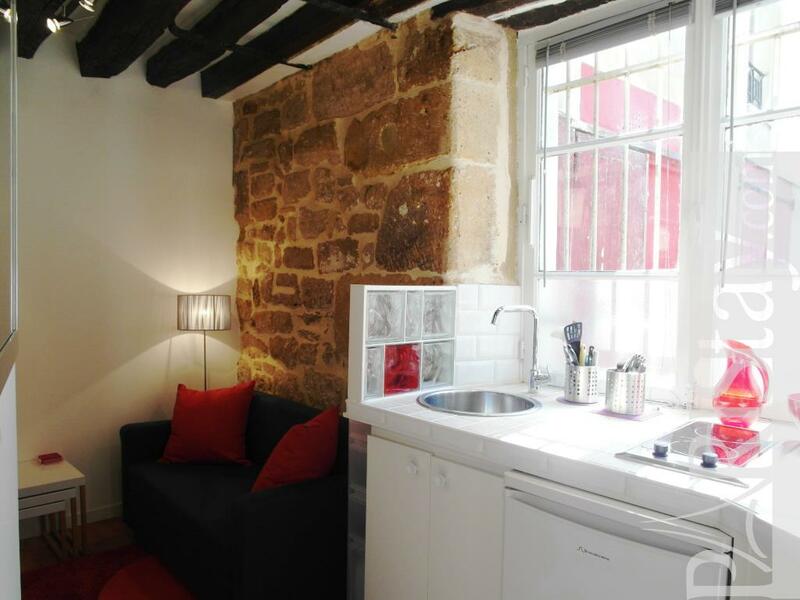 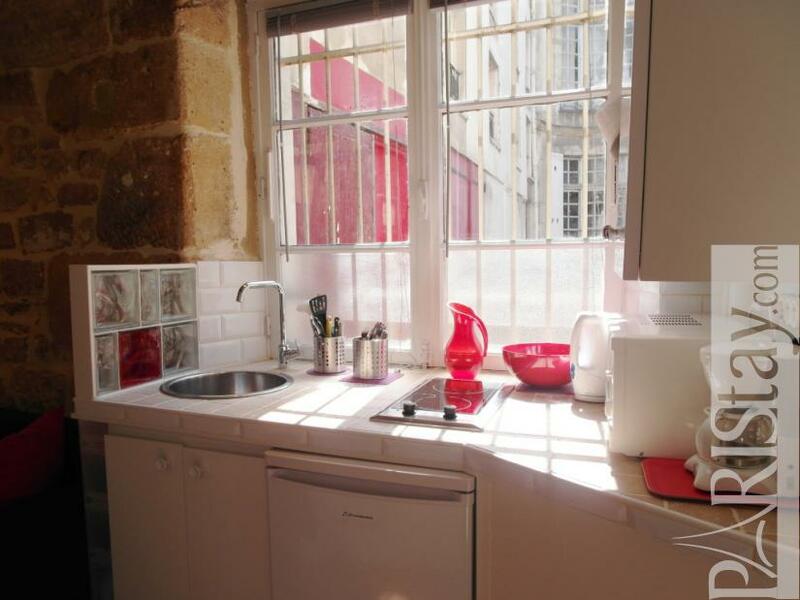 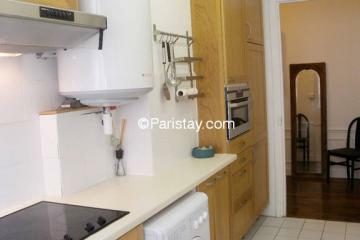 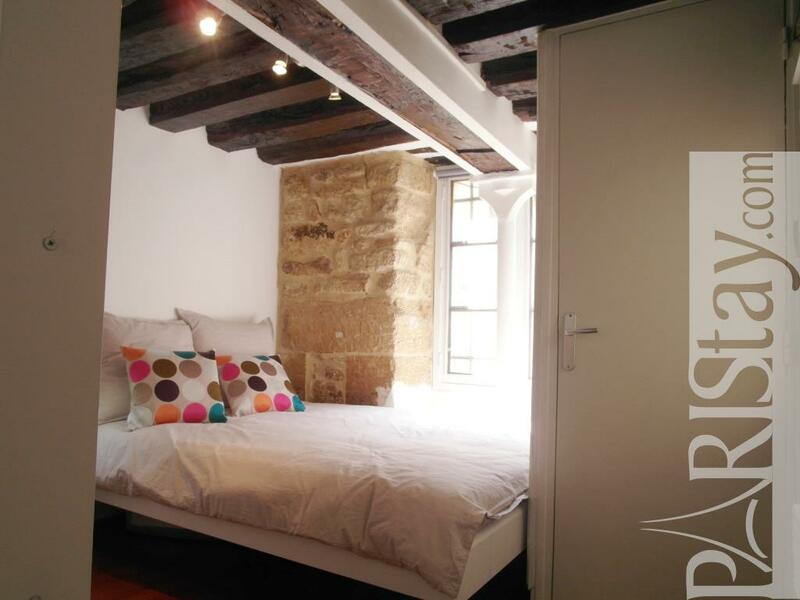 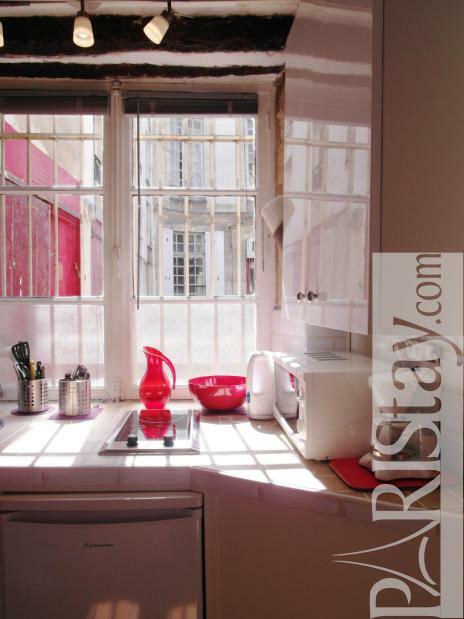 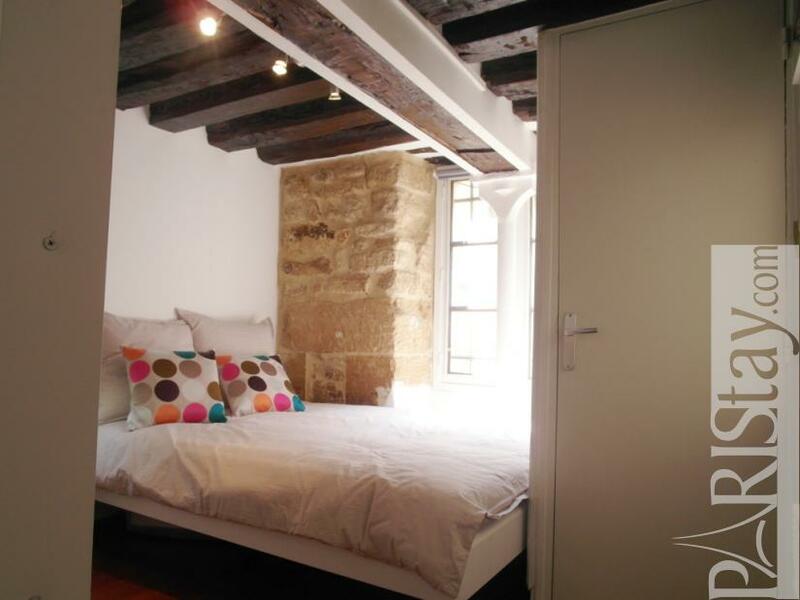 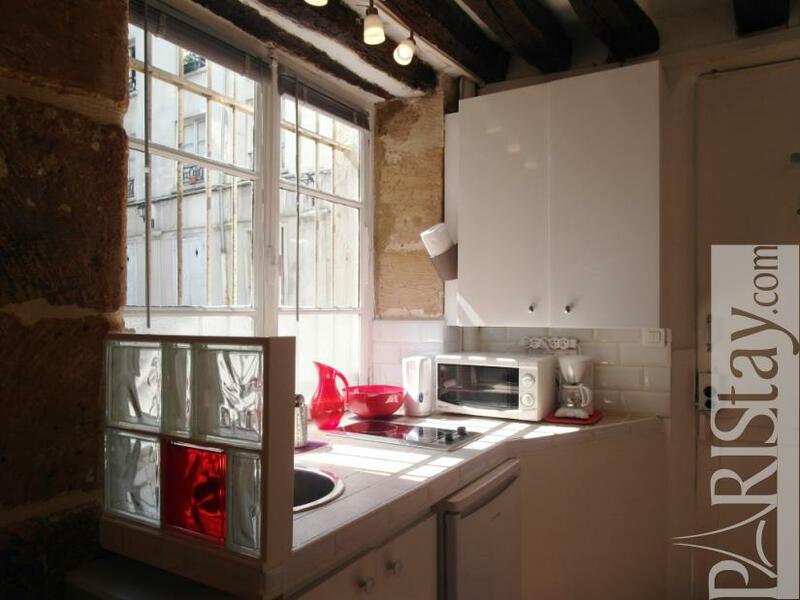 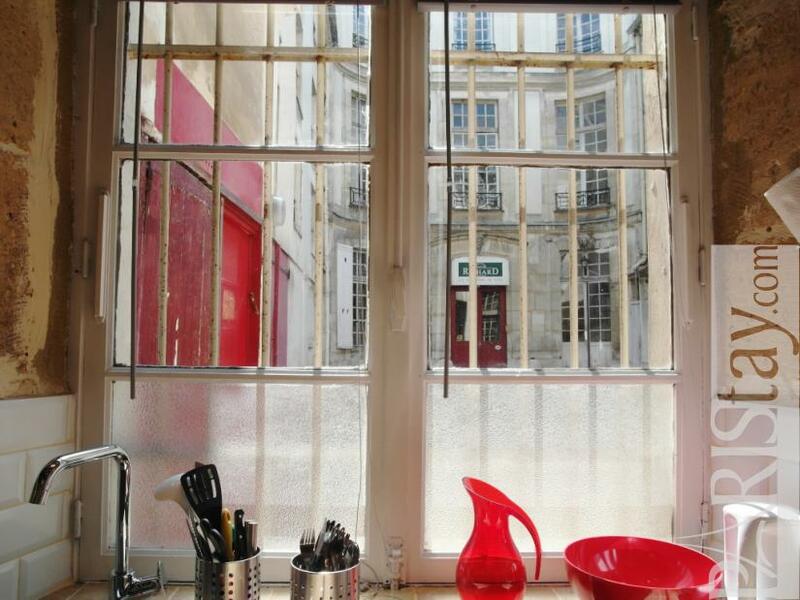 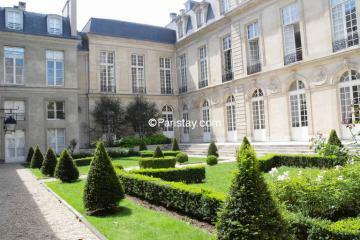 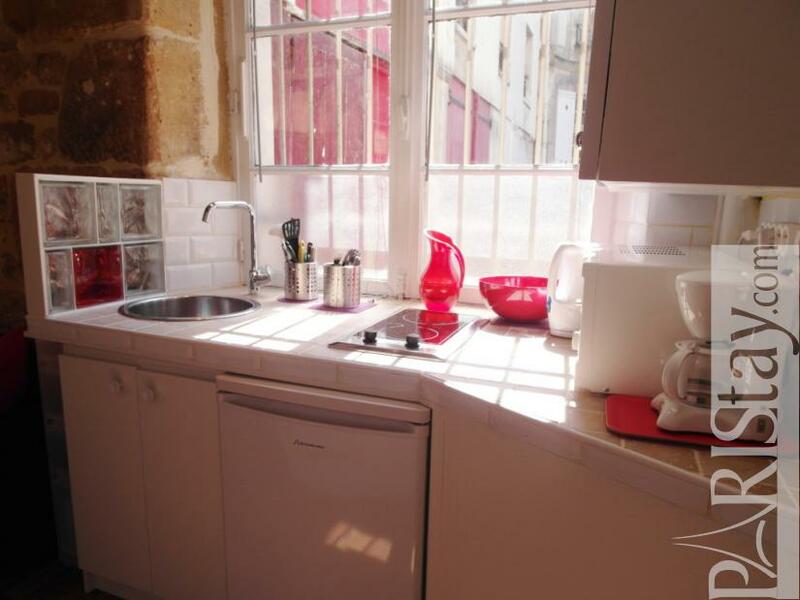 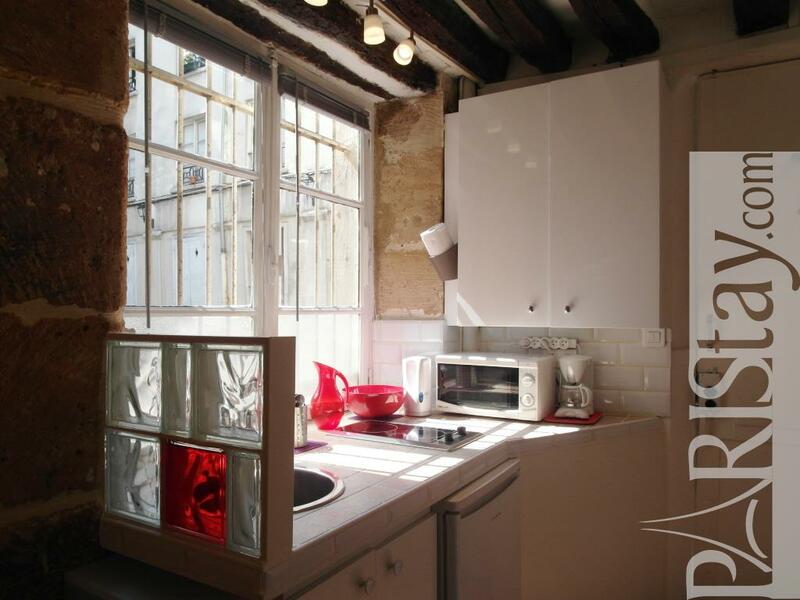 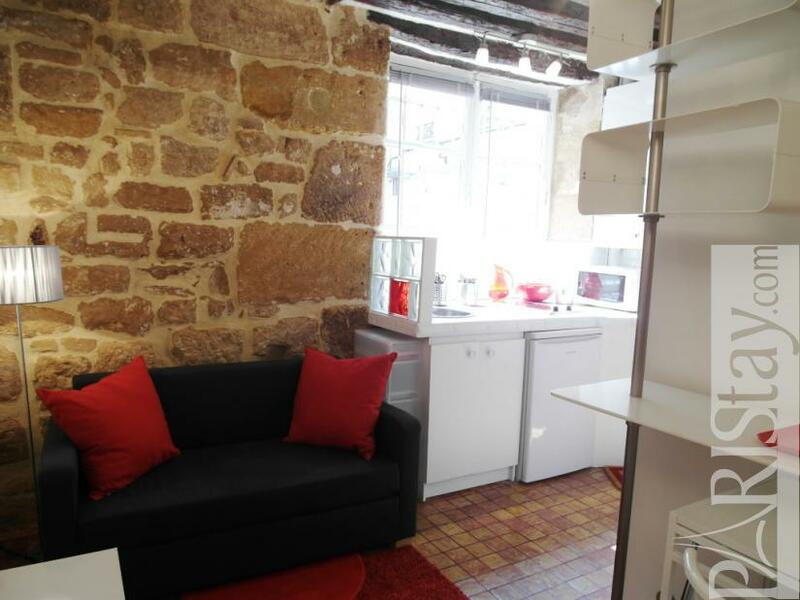 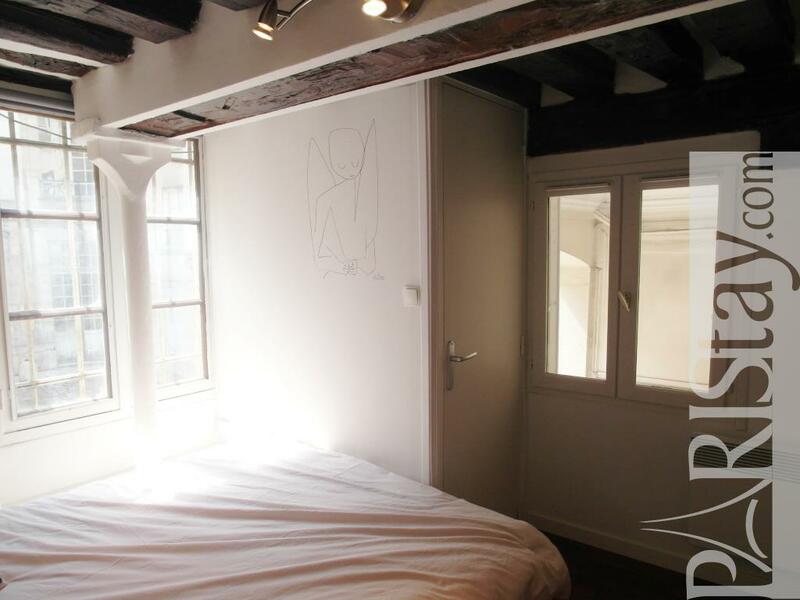 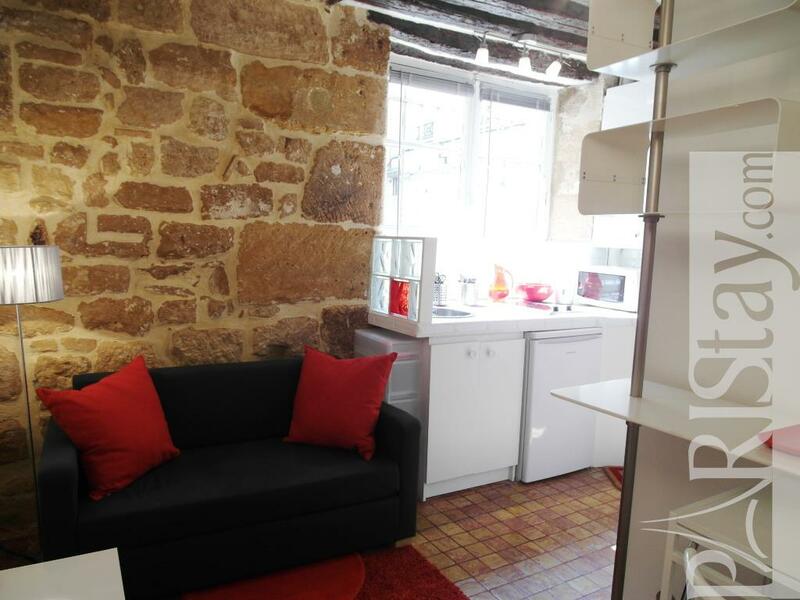 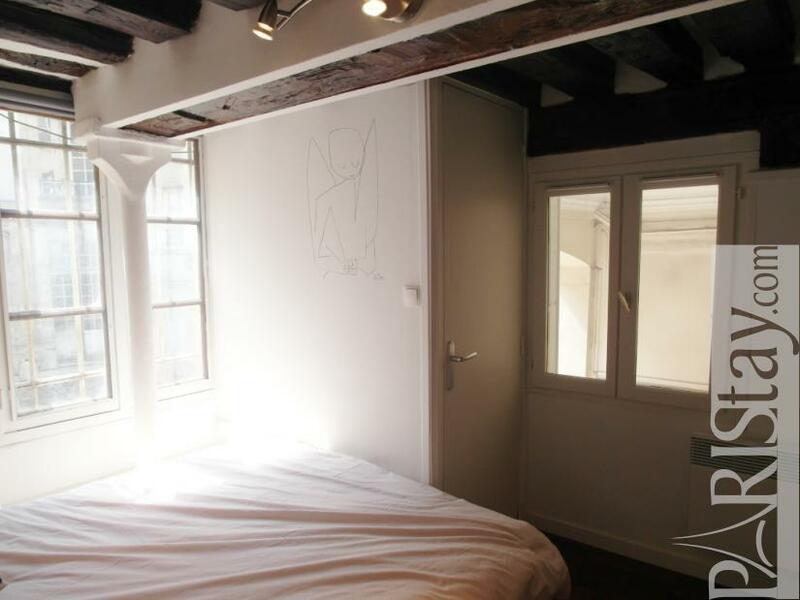 Ile St. Louis, Place des Vosges and Beaubourg center are all within walking distance. 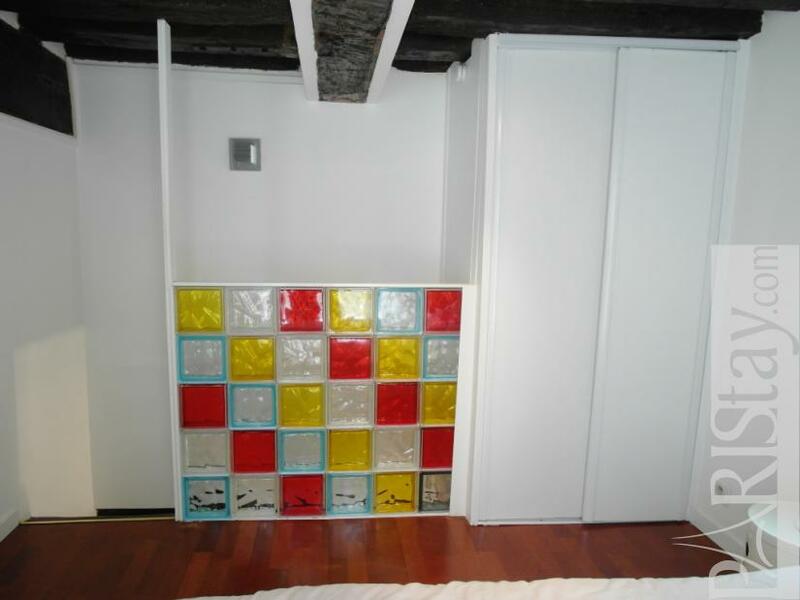 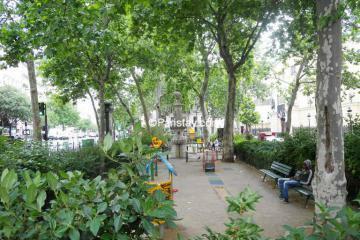 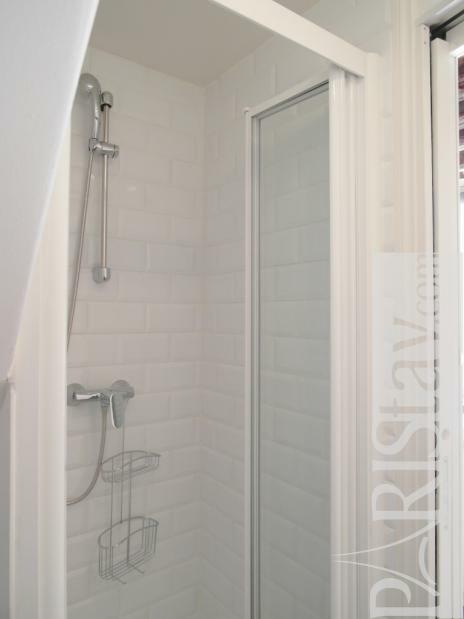 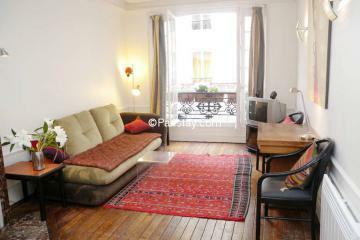 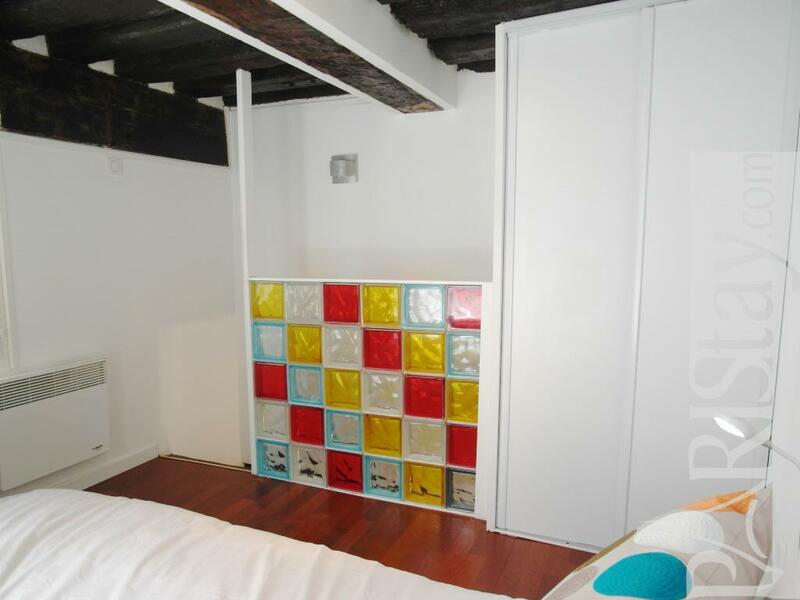 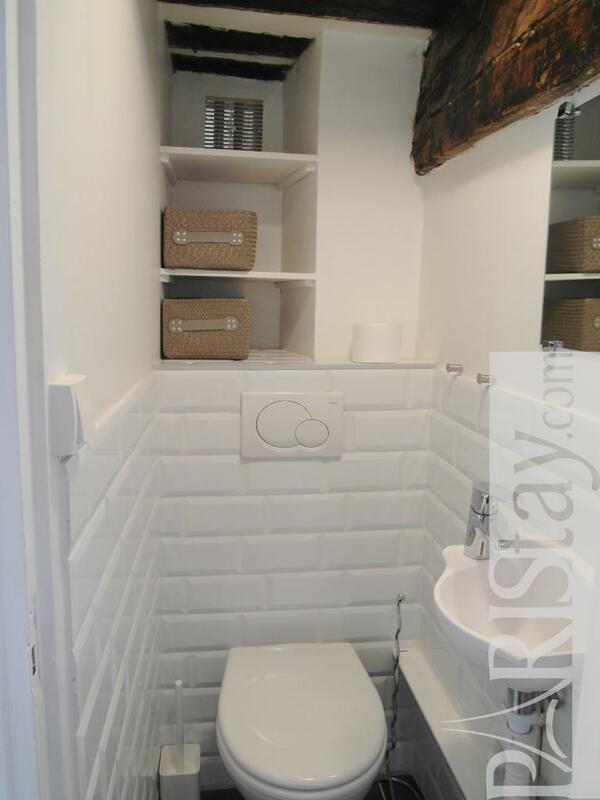 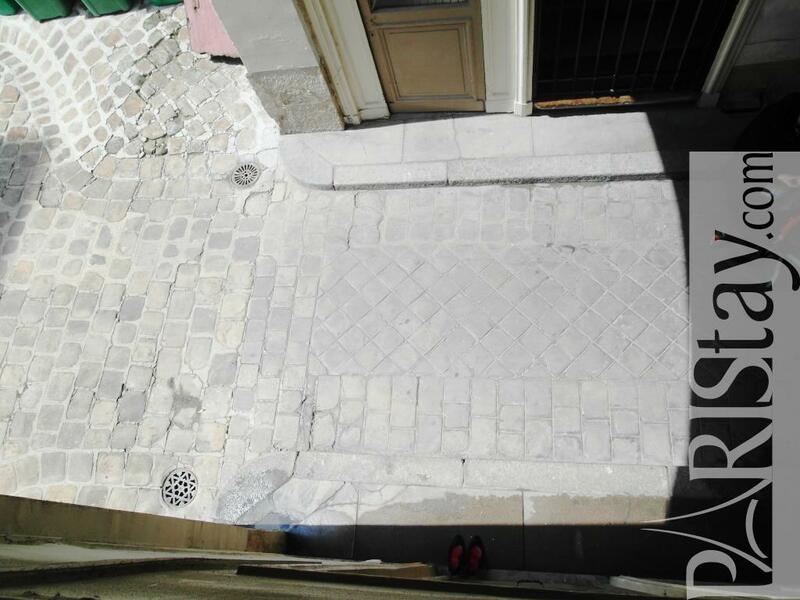 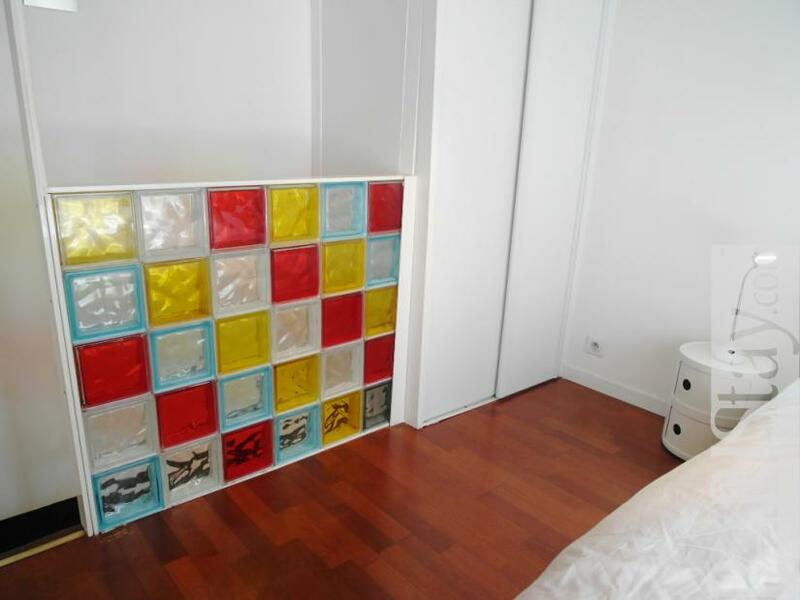 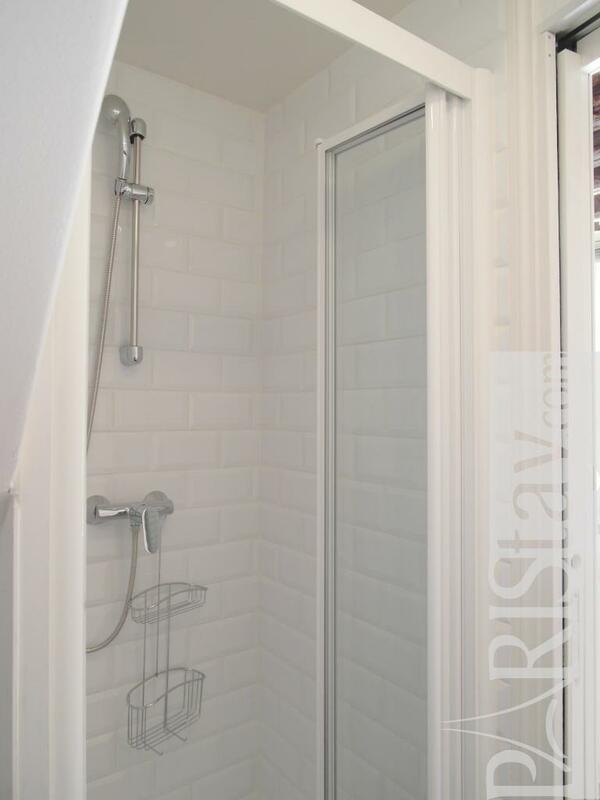 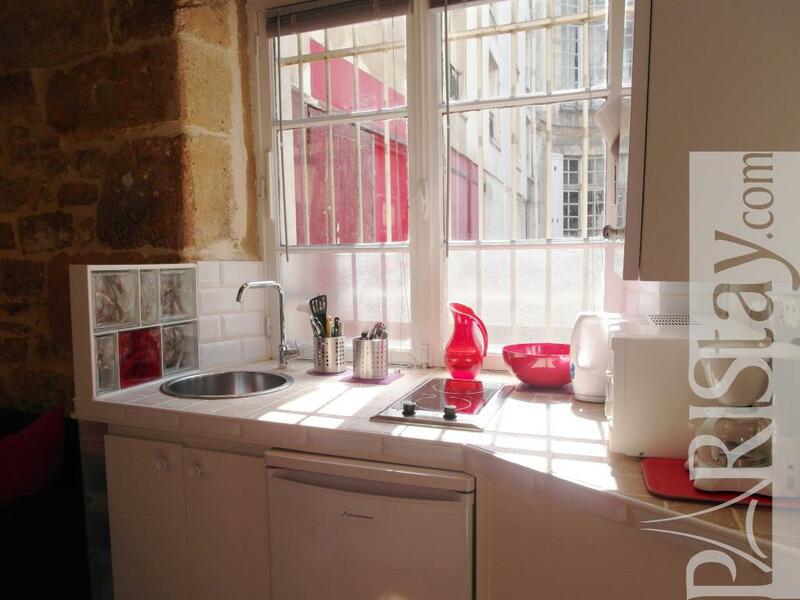 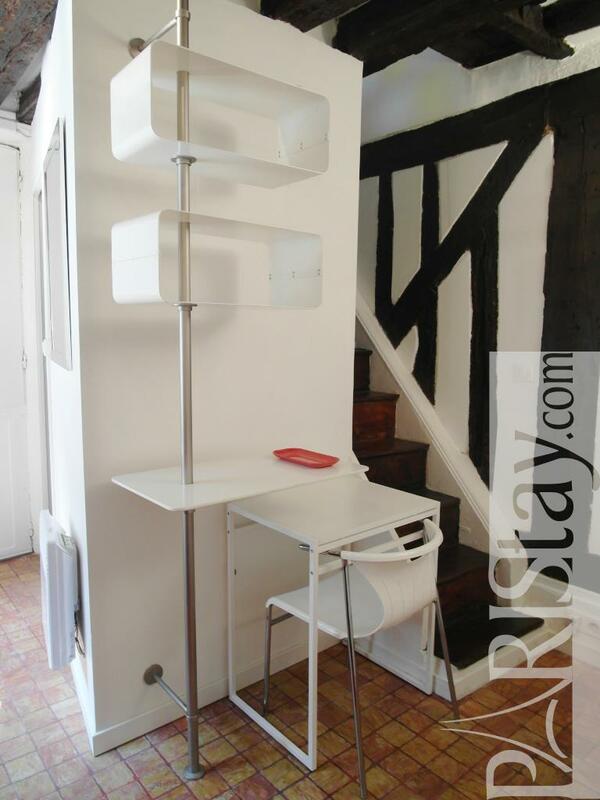 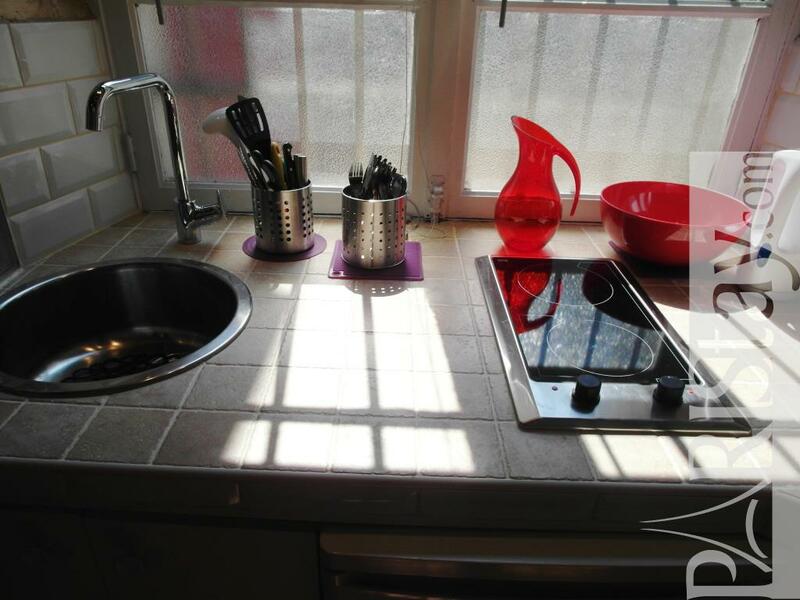 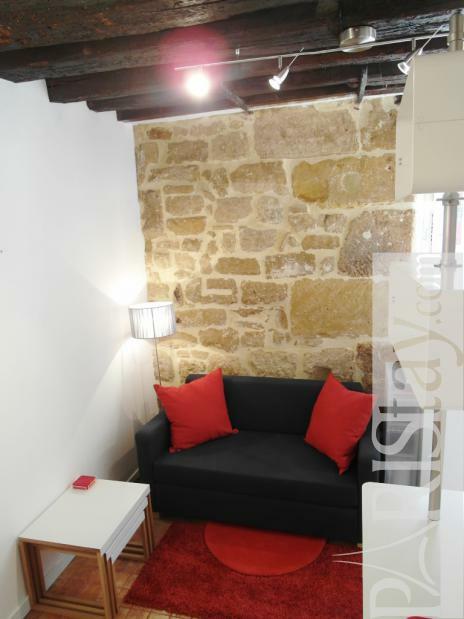 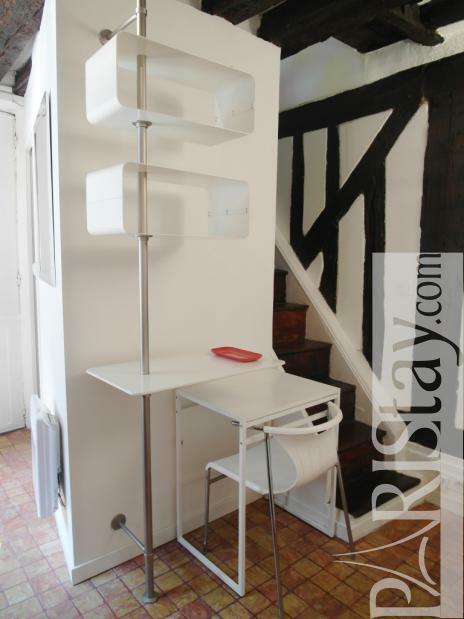 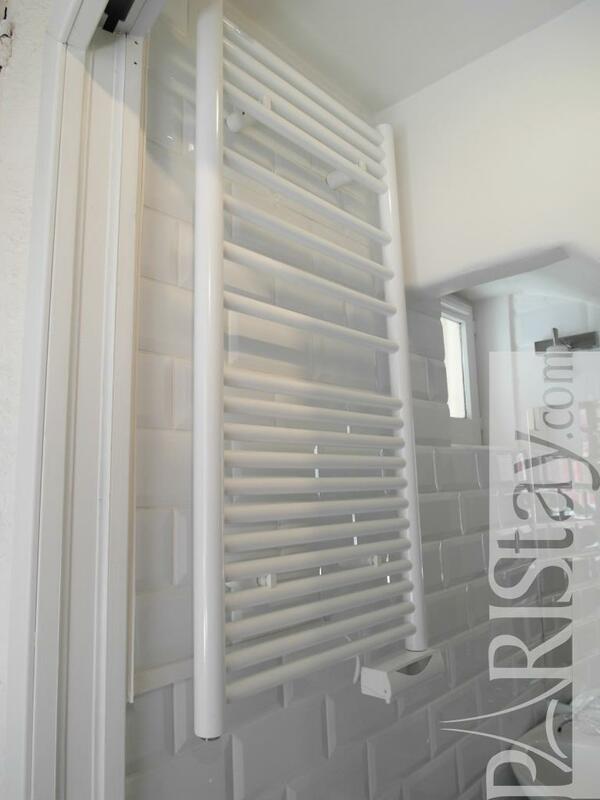 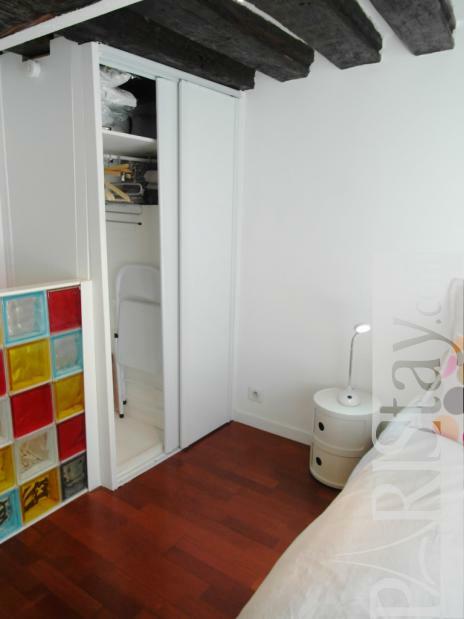 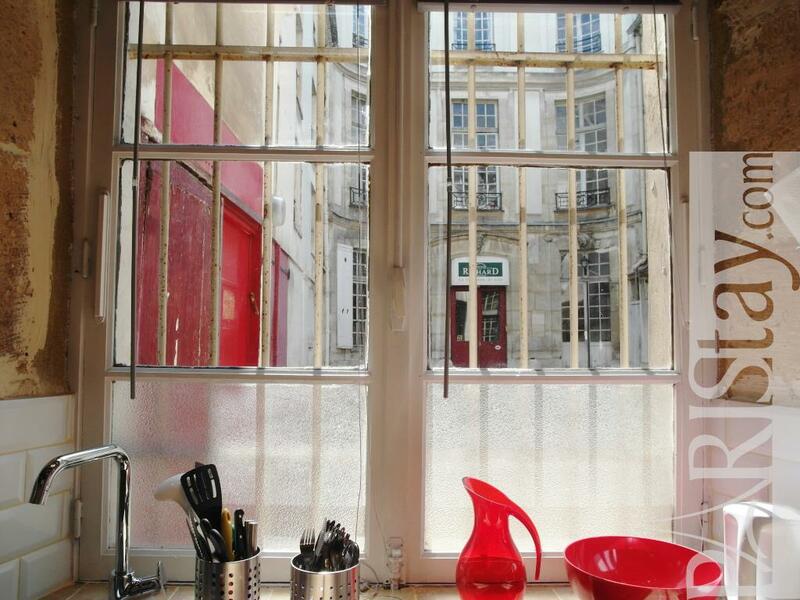 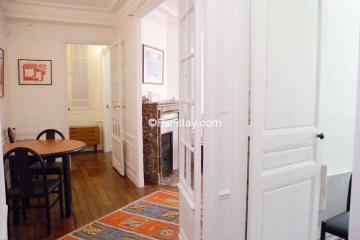 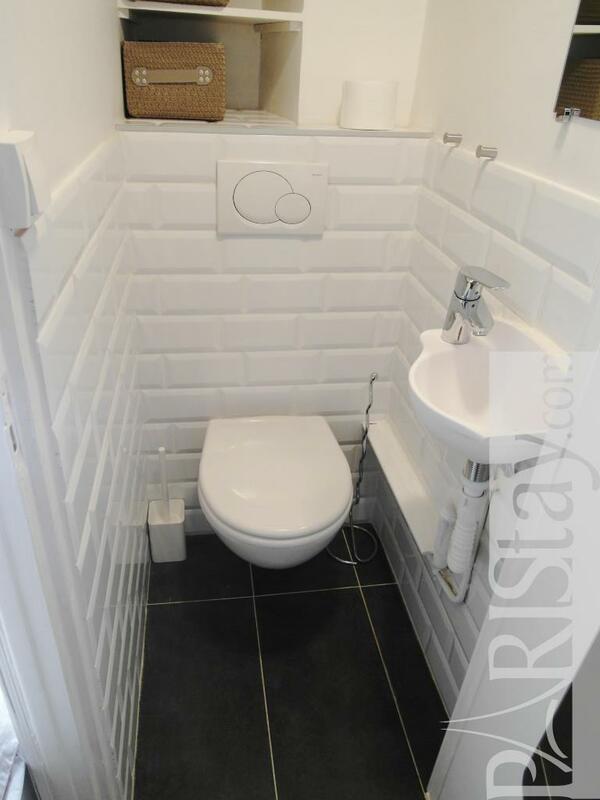 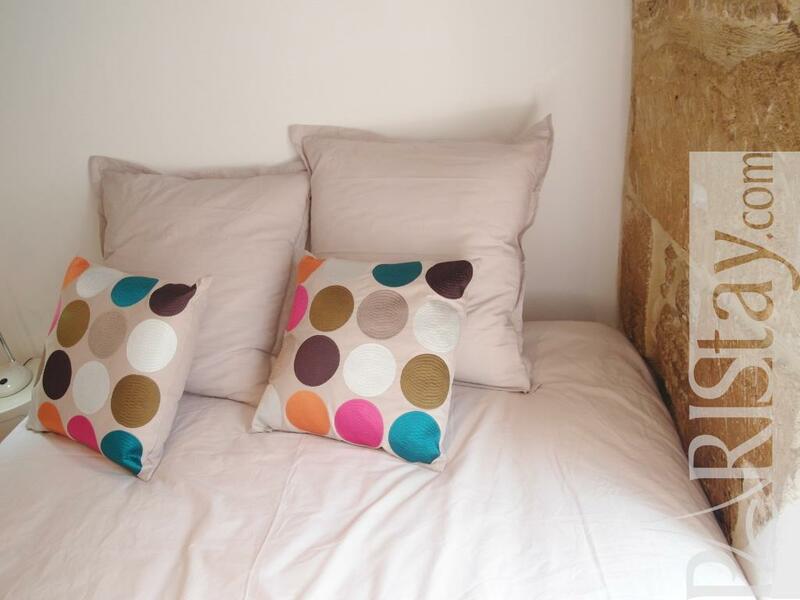 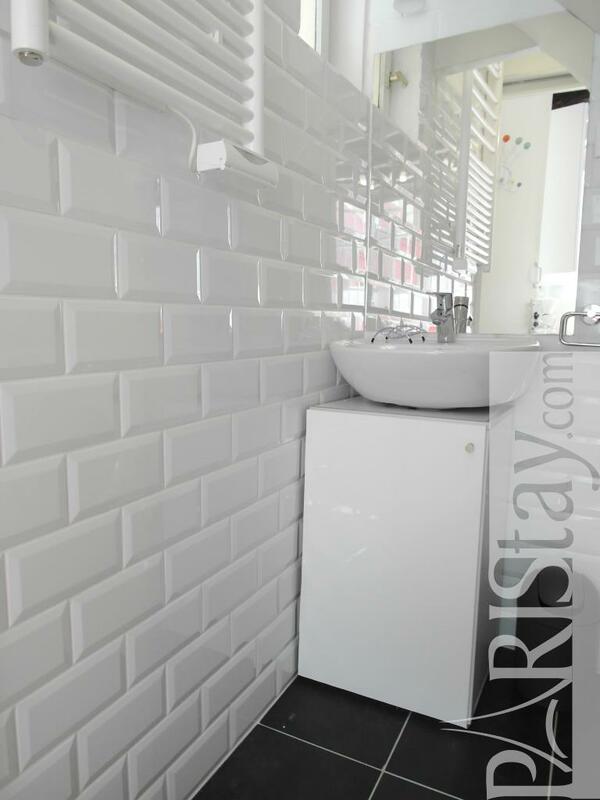 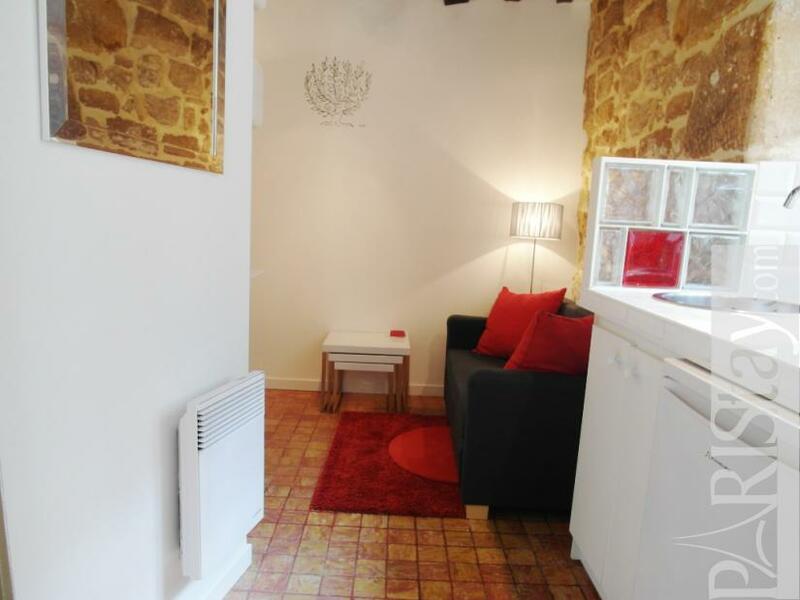 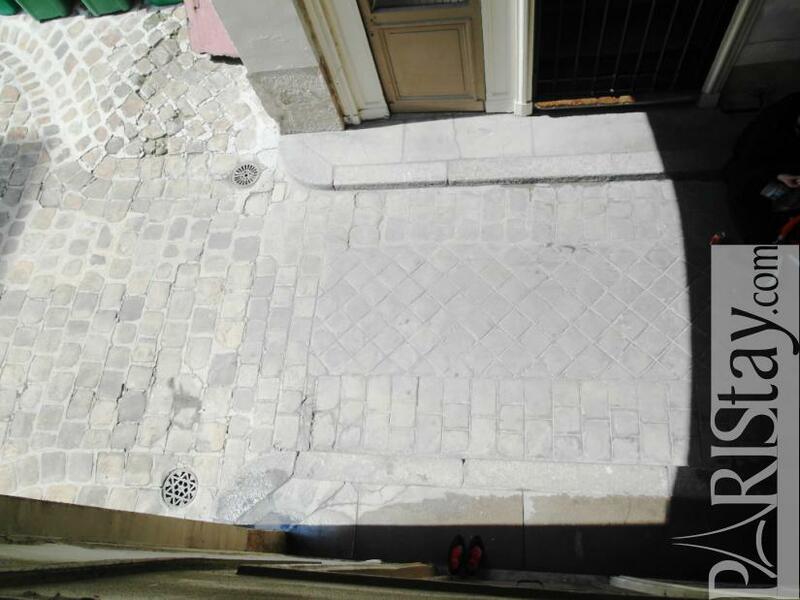 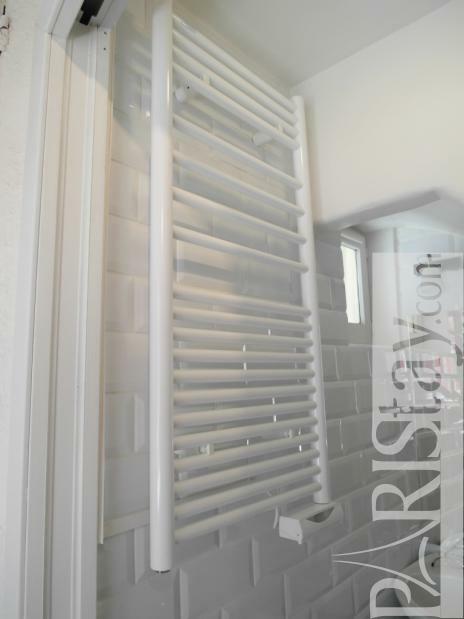 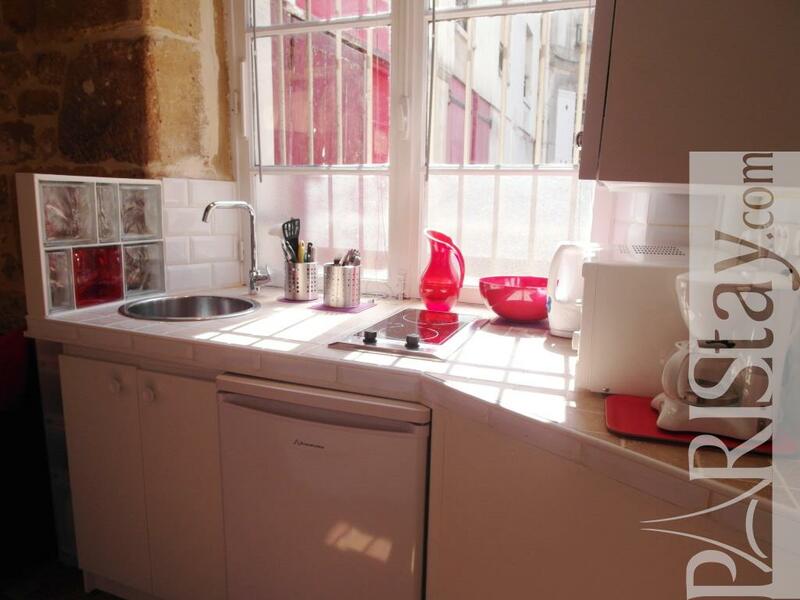 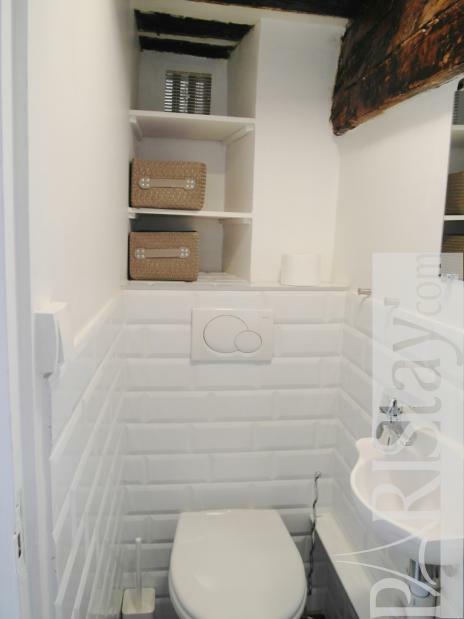 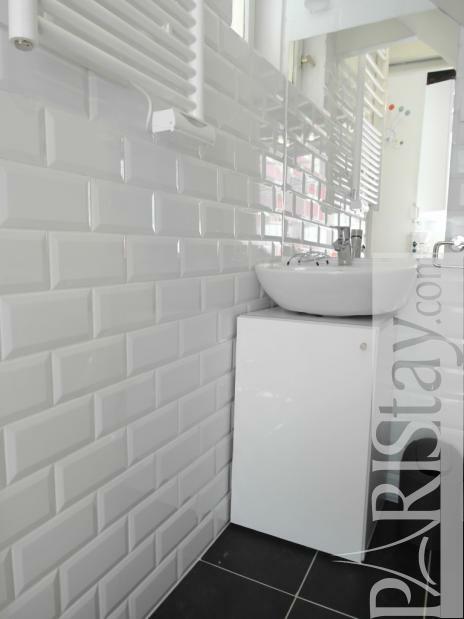 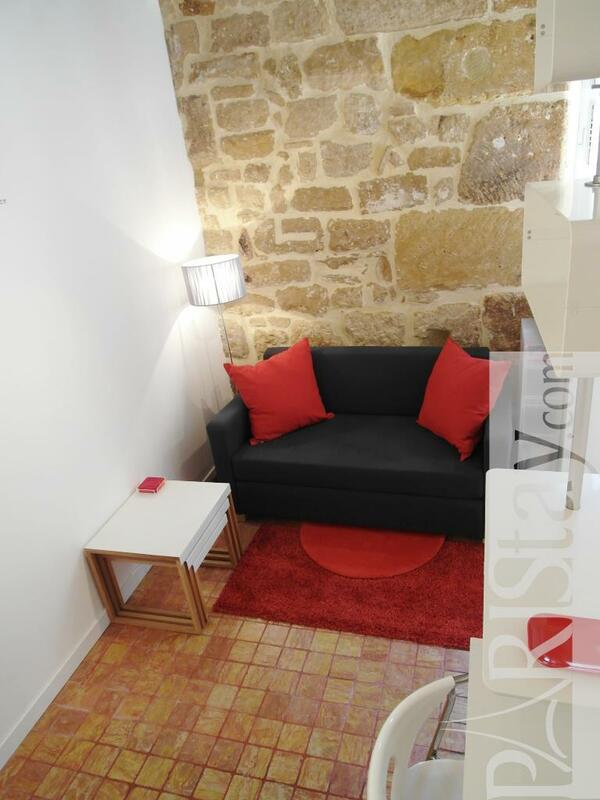 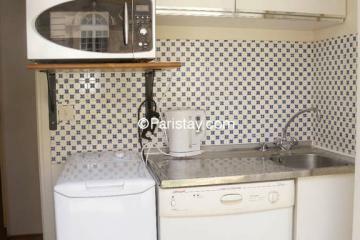 ground floor, without Lift, entry code security system, 1 bedroom Appartement, furnished, Approx: 20m² / 215 Sq.Ft.